Kids love gross things. It’s one of those constants in life that you can depend on like clockwork, like taxes or shoppers behaving like inhuman monsters at Black Friday sales. But Bertschi School in Seattle (also my alma mater) uses this fact to their advantage in their new Living Science Building, which is changing how kids learn about the world they stand to inherit. 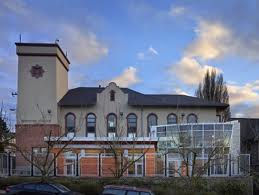 Bertschi School, on Capitol Hill in Seattle, was founded by Brigitte Bertschi in 1975. 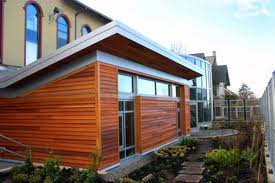 The new science building was completed in February 2011, and is only the fourth fully-certified Living Building in the world, and the first on the West Coast. The Living Building Challenge (LBC) was developed by the International Living Future Institute, and is considered one of the most rigorous standards for sustainable building. A Living Building doesn’t just cut down on energy use and waste, it functions as a small biosphere: generating its own energy, capturing and treating water, and using only non-toxic locally-sourced building materials. The Living Science Building utilizes cisterns to harvest rainwater, and features a green roof and a living wall to treat the building’s grey water. Grey water is non-potable water that can be sustainably used for things like flushing toilets and watering gardens. There is also a garden that grows edible plants, which teaches students the value of organic farming. A 20-kWh photovoltaic system generates all of the building’s electricity. The new Living Science Building also features a composting toilet, which treats waste in a self-contained system that isn’t connected to the city grid. The entire process is visible to students (remember- kids and gross things) as a learning tool. Bertschi has long believed in long-term visual aids for teaching science. Every year that I was a student from 1992 to 1996, salmon eggs would be deposited in a large aquarium in the entrance of the science building. Over the course of several weeks, we would get front row seats to watch the life cycle of one of the Pacific Northwest’s most delicious natural resources. When the tiny fish were deemed big enough, the entire school would trek out into the woods on a field trip and release the salmon into a stream. The science wing was designed by the Restorative Design Collective, a group of Seattle green building professionals and led by KMD Architects. The Collective donated their services free of charge, whose time and building resources for this project are estimated to be worth approximately $500,000. One of the bigger challenged of the construction was finding material vendors who were entirely upfront about the chemical makeup of their products. 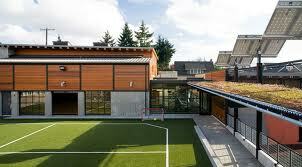 In 2007, construction on the school’s main building was completed, and earned a LEED Gold rating, the first certified elementary school in Washington State to do so. Bertschi taught me the magic of MS Paint. To be fair, it was 1995 and I was 7, but I still feel my artistry went largely unrecognized. “At Bertschi School, we are committed to educating children to become thoughtful stewards of their local and global communities,” says school founder and principal Brigitte Bertschi, “We are not simply teaching about how to responsibly manage resources. The Science Wing allows students to put our curriculum to authentic use. I am proud that our children are empowered to make a difference at a very young age.” It’s very clear that by involving students in sustainability and educating them about the natural processes to reduce energy and waste, Bertschi is the example that future schools should strive for. This entry was posted in Exploring our World, The Seattle Scene and tagged Brigitte Bertschi, buildings and structures, Living Building Challenge, review, sustainability. Bookmark the permalink. 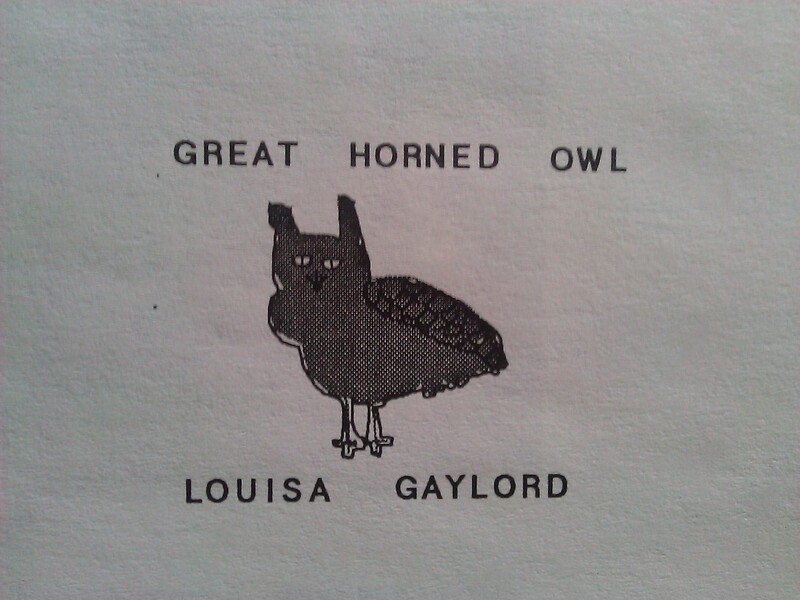 As far as owls go, I think it’s pretty good. Hi Louisa. I work for Bertschi School and I loved reading your blog post about the Science Wing. Very cool to see some press from one of our own alumni students! I would love to include a link to this post on the alumni section of our website, as well as a short bio. I was thinking I could use the bio from the about section of your blog. Please let me know if this is okay. That would be great! The new Science Wing is a great example of the sort of green building I’m interested in, and Bertschi was a great time in my life. The bio from this blog should be up to date. Let me know if I can provide anything else. Thanks Louisa. If you could send me a current photo of yourself, that would be great. I’d like to pair it with an old photo from our archives.